In January, when the twinkle of Christmas lights and the cosy atmosphere have passed, the winter can seem a little bleak. A short trip away will give you something to look forward to and blow away the winter blues. 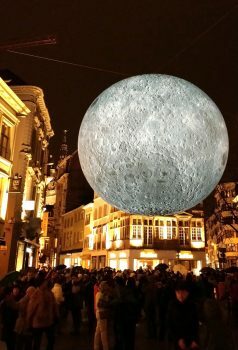 Ghent is an ideal destination because at the end of January 2020, Ghent will illuminate the darkness. 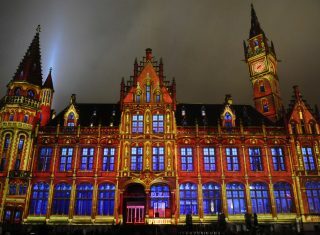 Ghent Light Festival lights up the city with works by international light artists. The city’s nights become the backdrop for a surprising spectacle. Ingenious installations, spectacular performances and beautiful events, all based on light, fill the city. Ghent is a beautiful city boasting marvellous medieval architecture along its canals. Furthermore, 2020 is an exciting cultural year for Ghent, with a focus on the artist Van Eyck. 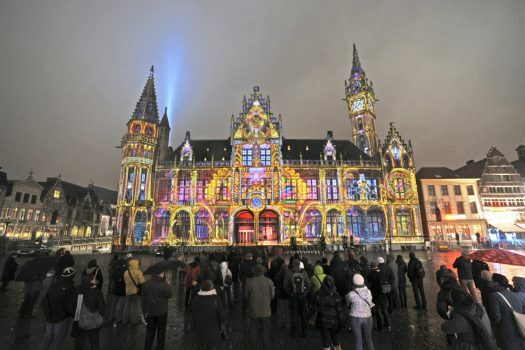 During your stay, the Light Festival presents Ghent’s historic sites and monuments from a different angle as the historical centre and arts quarter are both bathed in light. The dark evenings become magical as the installations offer visitors a glimpse of Ghent’s unique hidden charm after sunset. Furthermore, from your hotel in Ghent. you can easily visit a number of Belgium’s cities. Once you’ve explored Ghent’s charming canals and streets, enchanting during the Ghent Light Festival, Brussels makes an excellent day trip. The capital city is a hub of culture and food, offering a host of excellent museums and impressive architecture. If you fancy visiting Bruges or the diamond capital, Antwerp, instead, this is also possible. 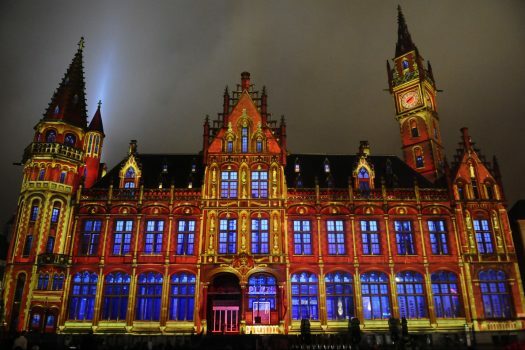 The exact dates for Ghent Light Festival 2020 are yet to be confirmed. Dates are predicted and subject to confirmation. Head to Dover for the ferry to Calais, then continue through France to Belgium. Arrive at your chosen hotel in the Ghent area and enjoy an evening at leisure to relax or begin exploring this charming city. Spend today discovering Ghent. Cosy yet vibrant, medieval with an industrial edge – Ghent is a stunning Belgian city of towers and gables. Equally as beautiful as Bruges, but often overlooked by tourists, Ghent is a fairytale town boasting bold, beautiful architectural styles on charming, winding lanes. Walk around old squares and alongside canals enjoying the different architectural styles. The dramatic Belfry towers over the city, a majestic dragon overlooking the city from the pinnacle. Other headline sights are the magnificent St. Bavo’s Cathedral, the Castle of the Count and the famous Graslei area. This is a wonderful area in which to stroll and sip coffee in canal-side cafes. In the evening, walk through the enchanting evening landscape of Ghent. Take in the many light installations which have popped up around the city. Either follow one of the light walks independently for a sparkling evening, or perhaps enjoy a tour which will reveal extra information about the festival and the city. At the stroke of midnight, the magic fades and the atmospheric lighting is replaced by ordinary streetlights. This morning, head to Belgium’s capital city – Brussels. This city offers a contrast to Ghent but is no less beautiful. 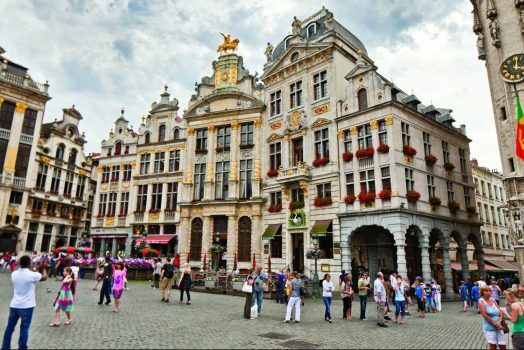 The spectacular Grote Markt is a a UNESCO World Heritage Site and home to the city’s most interesting architecture. The cobbled square is dominated by the Gothic splendour of the Town Hall and opulent guildhalls. The city is also known for Manneken Pis – a small and amusing fountain which is very popular particularly when, on special occasions, the flow of water turns to beer! Beer is a key attraction in Brussels, whether you choose to enjoy a leisurely beer watching the world go by or would like to participate in a beer tasting. See the imposing Stock Exchange, the Royal Palace, St. Nicolas Church and the impressive Atomium. Brussels is full of possibilities for a fascinating day trip and guides and attractions can be added to tailor the day to your interests. The time has come to depart from Ghent. If time permits, enjoy a final stroll around Ghent before heading to Calais for the return ferry to Dover, then continuing home. The Holiday Inn Gent Expo is a 7-minute walk from the nearest tram stop, this relaxed, 6-minutes walk from Flanders Expo arena and convention centre and 6 km from Gravensteen castle museum. The hotel features free Wi-Fi, TVs, minifridges and tea and coffee-making facilities. There is a laid-back lounge bar and a gym, as well as a business centre and event space. The Ibis Gent Kathedraal is situated directly opposite Saint Bavo’s Cathedral in the centre of Ghent. The contemporary rooms feature air-conditioning, free Wi-Fi and flat-screen TVs. Other amenities include a cafe/bar and a business centre. The Novotel Gent Centrum is set in a tranquil square in a central location, 3-minutes walk from the Saint Bavo Cathedral, a 5-minute walk from Gravensteen castle and 5 km from the Museum of Fine Arts. The contemporary rooms feature TVs, seating areas and minibars. The stylish restaurant with a terrace serves international cuisine. There are 2 bars, including a fashionable cocktail bar and a Medieval-style cellar. Other amenities include a gym, a pool and saunas, plus an indoor playground and a children’s library. Coach – Depart from your home town and travel to Belgium by coach. We can arrange short-sea Dover-Calais / Dunkirk ferry crossings or Eurotunnel crossings from Folkestone-Calais. Alternatively, take the overnight ferry from Hull-Zeebrugge / Rotterdam, Newcastle-IJmuiden or Harwich-Hook of Holland. Train – Take the Eurostar from London, Ashford or Ebbsfleet direct to Brussels Midi Station and change on to regional trains. 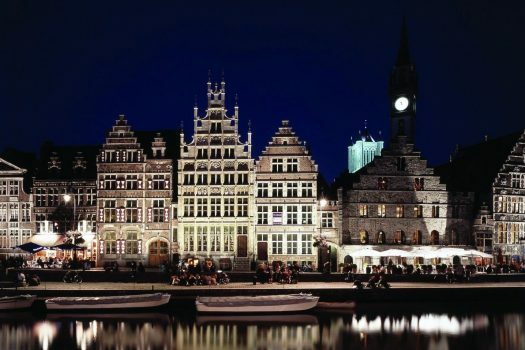 Air – Fly from a number of UK airports direct to Antwerp or Brussels Airports with both scheduled and low-cost airlines and travel on to Ghent via road or rail.